Claire Dove OBE, Crown Rep for VSCE sector launches Hackney's social enterprise manifesto at 'Hackney: A Social Enterprise Borough' conference. 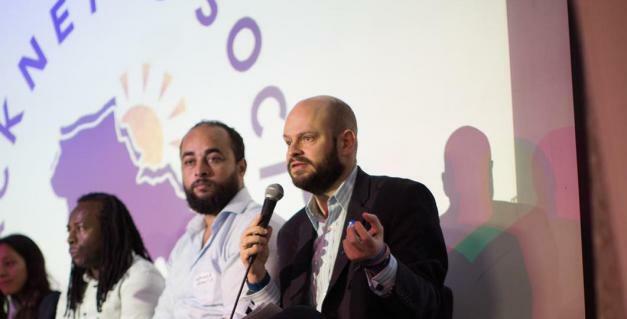 Thursday 15 November 2018 saw the launch of ‘Hackney Is Social’, a social enterprise manifesto for Hackney, coordinated by Hackney Co-operative Developments CIC on behalf of the Hackney Social Enterprise Place Partnership. On the ‘Hackney Is Social’ website (www.hackneyissocial.co.uk), also launched on the day, there are the logos of 58 organisations who signed the manifesto as a founding supporter along with commitments from 28 organisations to grow the sector. Now online, the manifesto is open to further sign ups from all individuals and organisations who want to ‘join the movement’ at this stage. Philip Glanville, Mayor of Hackney, who also spoke at the conference, announced Hackney Council’s commitments to the manifesto which support the three main aims of the project. Hackney Council’s commitments feature online as part of a total of 28 organisations (from local start-ups such as CounterPolitics to national organisations such as Co-operatives UK, Social Enterprise UK and Loughborough University London) who commit specific support to achieve one or more of the aims. Hilary Clayton, Deputy CEO of Shoreditch Trust said "we are delighted to be part of the Hackney Social Enterprise Partnership which is gaining momentum as the manifesto is launched for Hackney. We are so pleased to be a part of this movement as partnership working and peer support between Hackney’s social enterprises are recognised as key components of a thriving, social borough. We look forward to continuing to progress the aims of the manifesto."